Congratulations to D. Olsen Hancock! 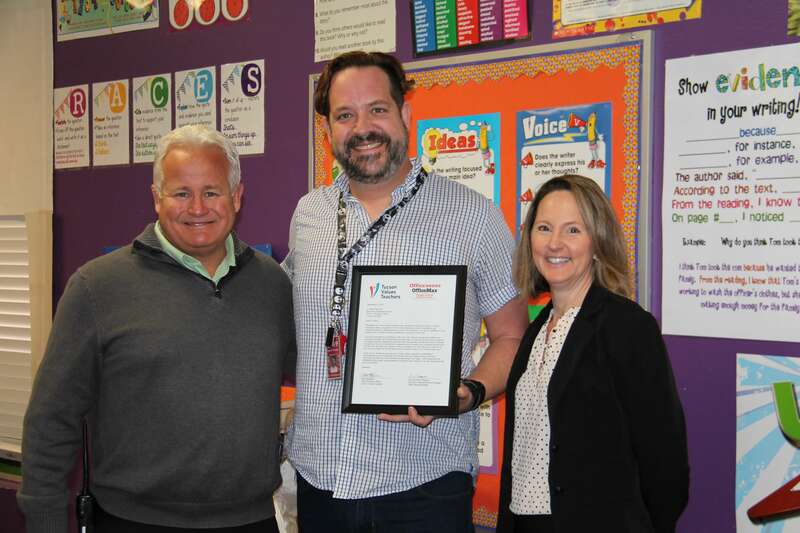 Mr. Hancock–a 4th grade teacher at Sycamore Elementary School in Vail Unified School District–received the December 2017 Teacher Excellence Award! 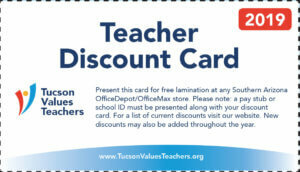 He received flowers and a plaque from TVT, and school supplies along with a $100 gift card from Office Depot/OfficeMax! The class also enjoyed some donuts to celebrate Mr. Hancock’s award! Joining in on the celebration from Vail Unified School District was Ken Graff, Principal at Sycamore, and Debbie Penn, Deputy Superintendent of Teaching and Learning.